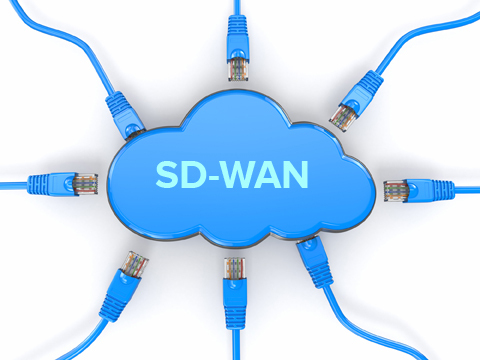 Benefits of Software-Defined WAN: Why SMBs Are Adopting SD-WAN : Consolidated Technologies, Inc.
SD-WAN, or Software-Defined Wide Area Networking, is quickly altering the way that businesses network in the modern world. This technology uses software to automate network traffic over several connection types, delivering a cost-efficient, secure, cloud-based WAN connection. But what does this mean for your small to medium-sized business — and should your SMB adopt an SD-WAN? Reduced Network Costs: SD-WAN helps reduce your networking costs by allowing you to use whatever connection makes the most economic sense for your business. Instead of forcing all of your locations to use the same connection type, regardless of what works best in the area, your sites can use different connection types but maintain security and integrity with a single SD-WAN. This means your business no longer needs to pay for private connections, MPLS connections and firewalls at every site, and you can choose the connection type that works best for you. Improved Productivity and Efficiency: Being able to get online quickly and stay online throughout the day is one of the critical components of employee productivity in the modern age. With SD-WAN, you can ensure that this happens with intelligent routing that delivers more bandwidth over existing Internet connections, giving each employee the best application performance and a fast user experience. Network Continuity: Network downtime means your employees can’t work and your customers can’t process their orders, resulting in lost sales and productivity. Every second can mean hundreds of dollars in lost revenue. SD-WAN also ensures your network is always working and always available, with redundant systems and security measures that keep things running 24/7. The system does this by automatically routing traffic based on the location, time of day, system delays and other performance thresholds. If one site goes down, the Internet service of another location will pick up the slack. Auto-Provisioning: If you have multiple sites without an IT staff, you don’t need to worry about remote installation with an SD-WAN — the program will install itself when you connect the SD-WAN device to the location, so you don’t have to waste time or resources sending an IT person to handle it. Simpler Security: SD-WAN solutions eliminate the need to purchase multiple security appliances to cover each branch office and site. SD-WANs cover everything with firewall capabilities, data encryption and network security, all under a single umbrella cost. 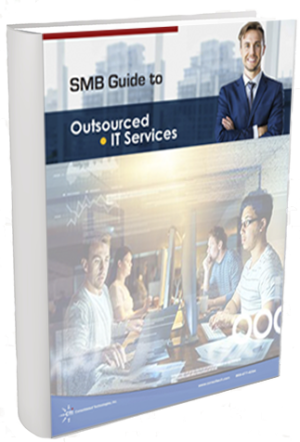 Want to learn more about the benefits of SD-WAN for SMBs? Interested in learning whether you should adopt an SD-WAN at your location? Consolidated Technologies, Inc. can help you determine that. At Consolidated Technologies, Inc., we take pride in being informed on the latest trends in technology — and we want to bring these innovations to your business and put them to work for you. With over 2,000 other companies partnered with us, you can trust us to help you navigate the ever-changing technological world and find the most practical solutions for your business. Contact us today to speak with an associate and explore the possibilities for your business.